Increase the Performance of High Frequency Parts by Using Surface Mount PCB - Surface mount technology is one of the methods used to put together the parts of printed circuit boards (PCB). Surface mount technology is one of the methods used to put together the parts of printed circuit boards (PCB). It is preferred for providing high performance and faster PCB assembly, resulting in savings in both money and time. Surface mount PCBs can perform better with the accurate installation of high-frequency parts. Every component is directly and accurately mounted and fixed onto the printed circuit board's surface no matter how complex the design is. This way, SMT achieves a greater amount of accuracy compared to other methods like through-hole technology. Why use surface mount technology? This method for generating electronic circuits on printed circuit boards has certain advantages over through-hole technology. One of SMT's most notable feature is its ability to place smaller components that are at least 0.4 x 0.2mm onto PCBs. Moreover, it can place a large amount of components and many other connections for every component without compromise on accuracy. Surface mount technology is more flexible with components as it can place parts on both sides of the PCB. Many parts for surface mount PCB cost less, too. SMT has largely replaced the conventional through-hole technology method of fitting components into printed circuit boards with wire leads, but both can be used together on the same board, especially when there are components that may not be ideal for surface mounting, like heat-sinked power semiconductors and larger transformers. Surface mount PCBs are known for their increased performance for high frequency parts through inductance at the connection and providing lower resistance. Assembling a printed circuit board with surface mount technology will reduce the time it takes to complete and launch the final product. Assembly is faster, with as much as 10,000 components placed each hour. Surface mount technology ensures that all components on the printed circuit board will not move or become displaced, even when under conditions where there is vibration is shaking. Component characteristics are easier to predict, such as when the effects of unwanted RF signals must be considered. SMTs on PCBs reduce the effects of those signals unlike when leaded parts are used. To save money and time, consider hiring a reputable circuit board assembly service provider that uses advanced surface mount lines. The best SMT and PCB assembly specialists have more than three decades of experience in contract electronic manufacturing, making them qualified to place Micro BGA's, QFN's, and 01005 chip sizes. You can rely on them to make other electronic assemblies, too, such as mixed technology and through-hole. 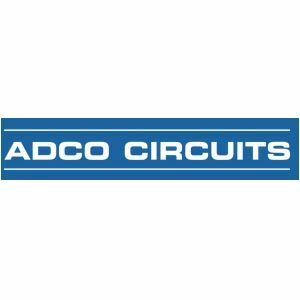 ADCO Circuits offers electronic design and circuit board assembly services to aerospace/military, telecommunications, automotive, industrial/commercial, wireless and medical equipment markets. They provide electronic designing, contract manufacturing, and rapid prototyping and PCB assembly services in Michigan. They are an ISO 9001 and TS 16949 certified and compliant to AS 9100 and ISO 13485.